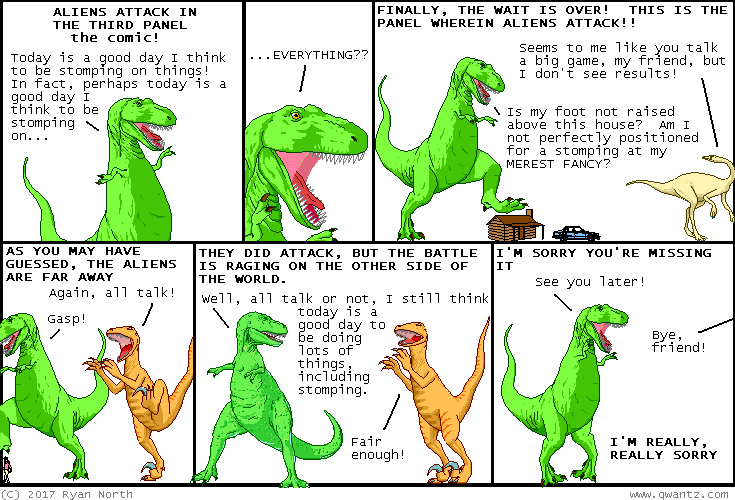 Dinosaur Comics - June 26th, 2017 - awesome fun times! –Science dictates this gave him the proportional speed and strength of a dog! June 26th, 2017: I am Kickstarting a new book! It's called WILLIAM SHAKESPEARE PUNCHES A FRIGGIN' SHARK and/or other stories and it's gonna be great, in my not-at-all-biased opinion! !